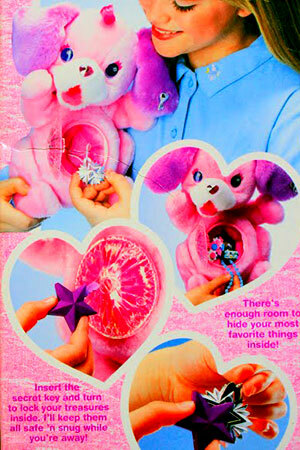 "Plush pups keep secrets safe just for little girls!" 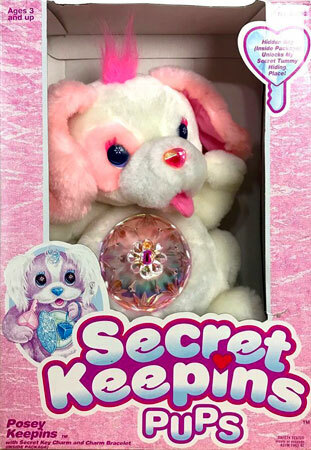 Secret Keepins were produced by Kenner in 1994. 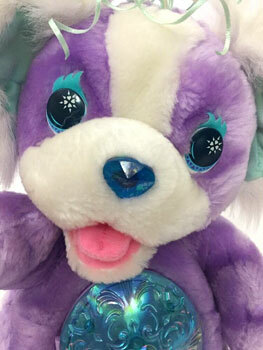 They were a series of plush puppies with a large plastic jewel-like disk on their tummies which hid a secret compartment inside, opened by a key attached to the disk's front. 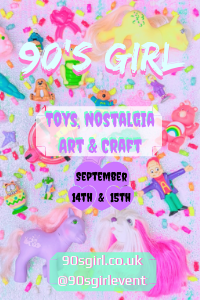 Images on this page thanks to Shelvesofwhimsy, Pranceatron, Miss Leonie, Knot-A-Toy, Toy Palace , Katrina Klokkevold and eBay seller endoftherainbowshop ! There were three puppies produced, and the line was due to expand but never did. 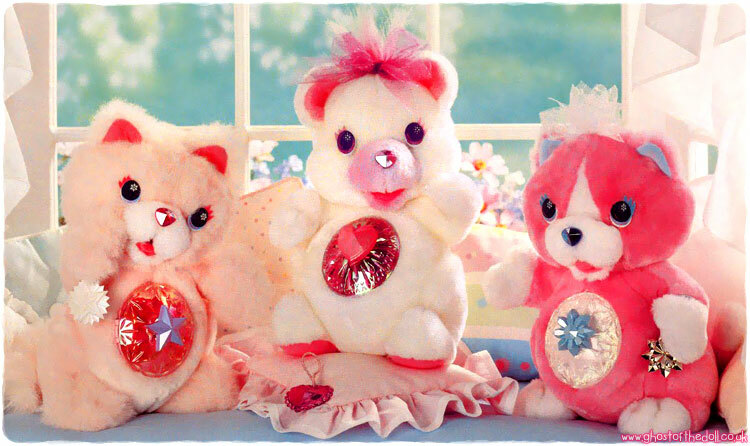 They each had jewel noses and different types of hair tufts. 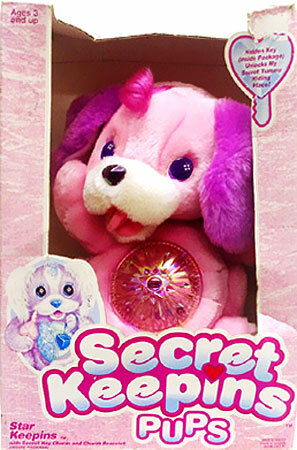 "Plush pups keep secrets safe just for little girls! 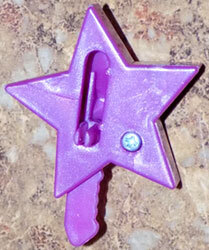 Charm snaps off tummy and becomes a key to open secret hiding place! Girls put their favourite thing in tummy hiding place for safekeeping! 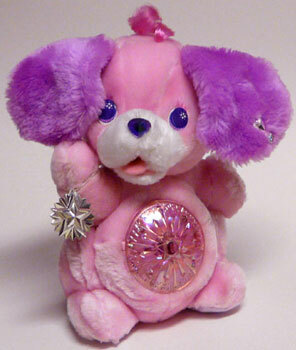 Each pup comes with key charm and special gift charm bracelet for girls to wear!" 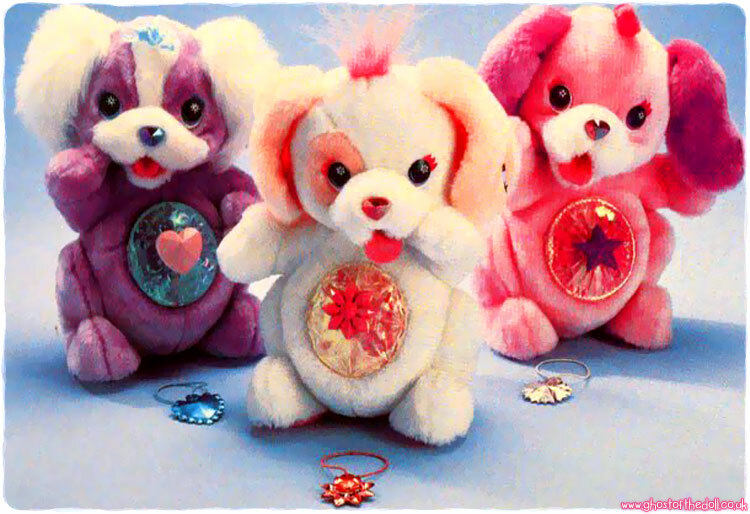 Each pup came with a key attached to the disk's front (vary hard to find with secondhand toys), and a charm which could be worn as a bracelet. 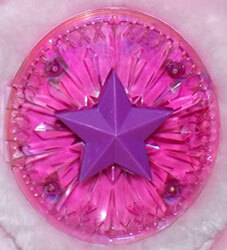 Pink pup came with a purple star key and a silver star charm. 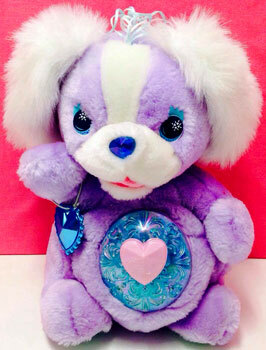 Purple pup came with a pink heart key and blue heart charm. White pup came with a red? 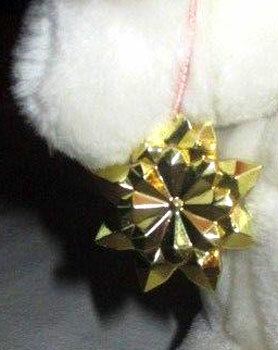 flower key and gold flower charm. 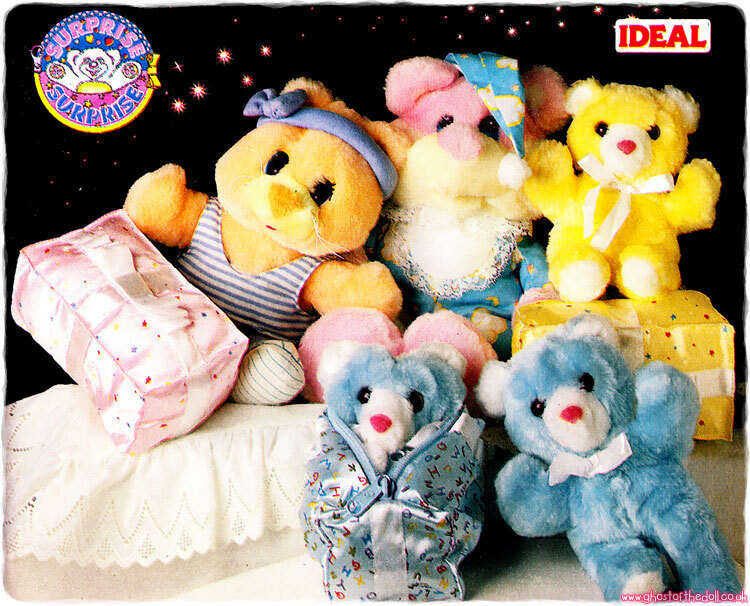 "Two cute kitties and an adorable bear join the cuddly lineup! Beautiful new colours for '95! 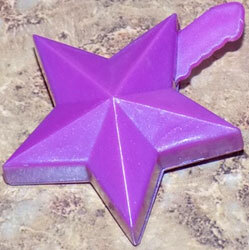 Tummy charm becomes key that opens secret hiding place! 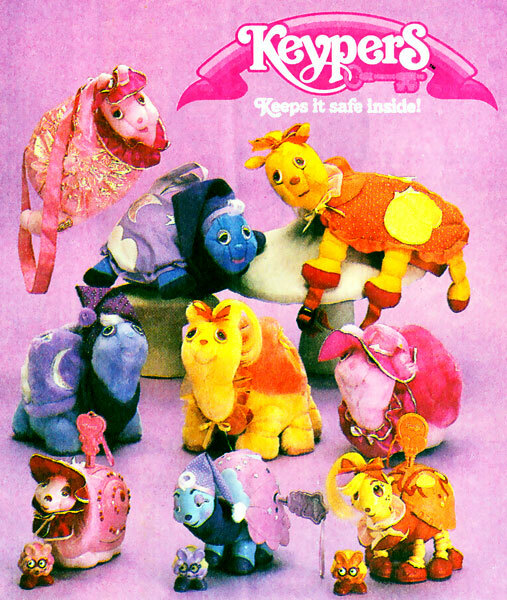 Animals each feature a key charm and "
These three animals were never produced for sale, only made for the catalogue image. 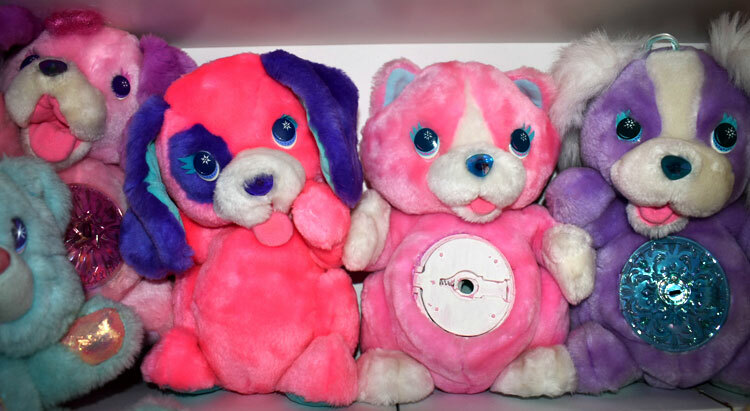 This photo shows the pink kitty from above as well as a bolder coloured pup (with pink pup and purple pup on either side). They are hand sewn prototypes.